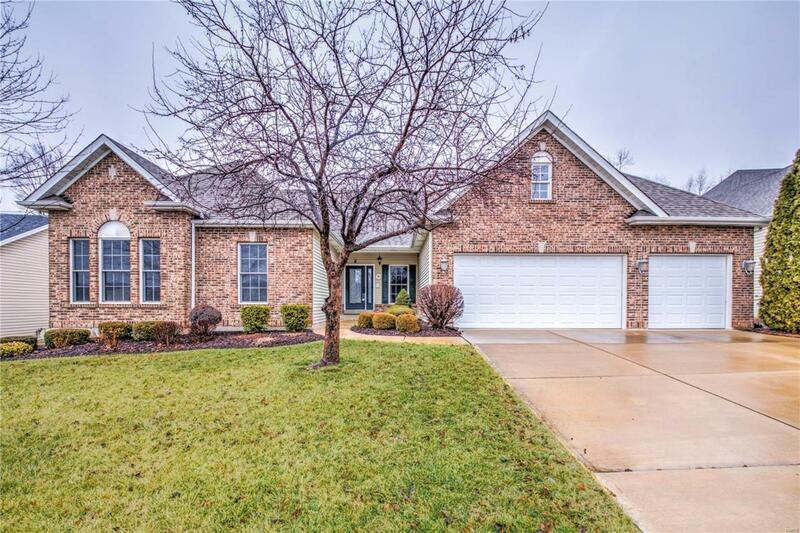 Impeccably maintained VAULTED ranch with UPGRADES! 3 bedrooms, 2.5 baths, 2332 sq ft, 3-car garage & large 1/4 acre lot. BRICK FRONT, lush landscaping & covered porch welcome you inside. 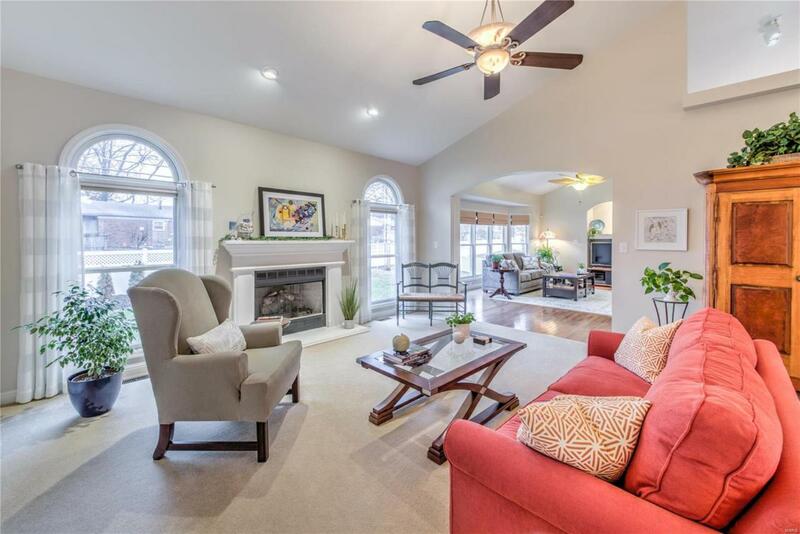 AIRY & OPEN floor plan, SOARING CEILINGS, display ledges, columns, archways, great room GAS FIREPLACE & palladian windows. 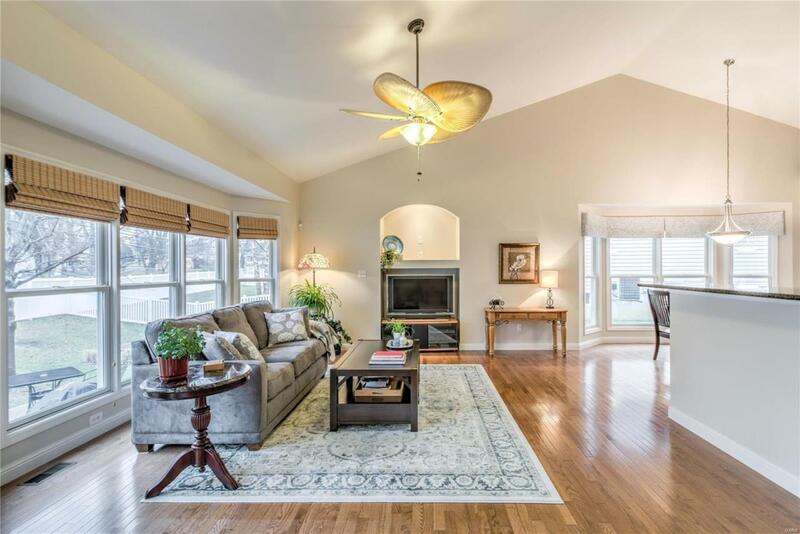 Family room with sunny BAY WINDOW, GLEAMING HARDWOOD & built-ins. 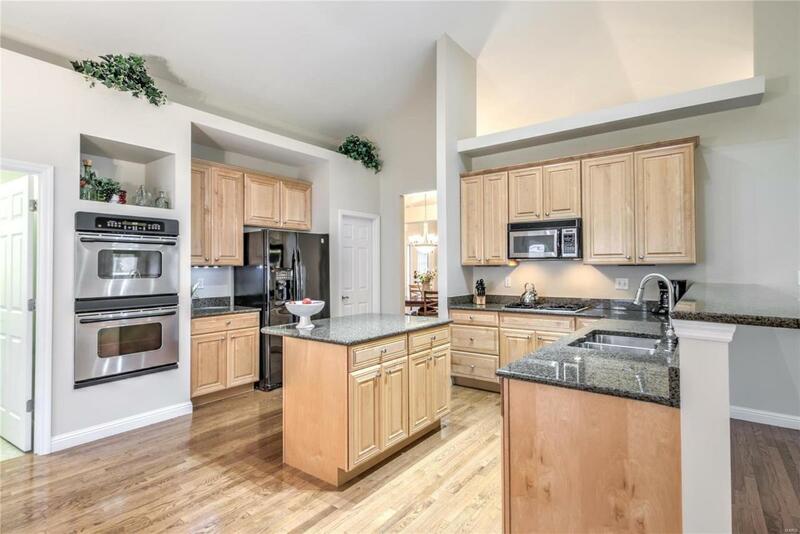 HIGH-END kitchen with 42" cabinets, GRANITE counters, SS APPLIANCES (chef's gas cooktop, double oven), WALK-IN PANTRY, breakfast room + flexible dining room. Versatile hallway bonus/sitting room. Generous master suite with TRAY CEILING, DUAL WALK-IN CLOSETS, relaxing bath with DOUBLE VANITY, soaking tub, separate shower. Step outside to a private AGGREGATE PATIO - ideal for entertaining. Irrigation system, Anderson windows, architectural shingle roof, lower level bath rough-in (too many upgrades to list). Near highways 70/364/94, Historic Main Street, AWARD-WINNING SCHOOLS, shopping, eateries, parks & country clubs.